Although the major index providers have recognised the growing need for information about the carbon exposures of companies represented and despite the increasing popularity of factor indices for smart beta strategies, the carbon footprint of factor indices has tended to be overlooked. Recent work by S&P Dow Jones Indices has ranked the major factors by their carbon exposures according to the indices and available carbon emissions information. 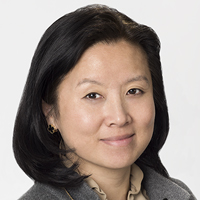 In an S&P Dow Jones Indices blog last week, Kelly Tang, a director of global research and design, said that the results highlighted some interesting findings, one of which was that the low-volatility factor generated the highest total in emissions. This was due to the strong utilities sector presence in low-vol indices. The S&P 500 Low Volatility Index has 17 utilities companies, generating over 60 per cent of its direct carbon emissions. This finding presents potential solutions from the index provider perspective and allows them to incorporate a carbon efficiency component to low volatility indices. Conversely, Tang said, the quality factor had the lowest carbon emissions. The S&P 500 Quality had zero exposure to utilities and negligible allocation to energy. The quality strategy’s contribution to CO2 emissions stemmed from its high industrials exposure – 10 per cent overweight versus the benchmark. Industrials ranked high in the quality index due to the sector’s strong profitability growth as it benefits from the uptick in the business cycle. The industrials component contributed more than 52 per cent of the S&P 500 Quality’s total direct emissions. Tang said the financial sector was the second-highest contributor of CO2e emissions for the enhanced value and momentum strategies, which at first glance, may appear somewhat out of the ordinary. But this was largely due to portfolio holdings, especially by Warren Buffett’s Berkshire Hathaway. Berkshire Hathaway, for instance, constituted 6.5 per cent of the S&P 500 Momentum and 3.9 per cent of the S&P 500 Enhanced Value Index, ranking as the second and fifth top holding in those respective indices. Its portfolio company, Berkshire Hathaway Energy, generated 99 per cent of the financial sector’s total CO2e emissions in the momentum and enhanced value strategies.